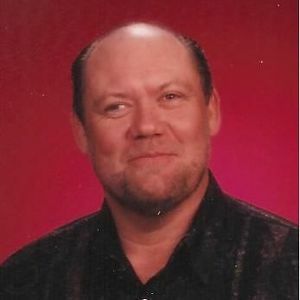 GREENVILLE - James Kelly Cobb, 67, of Greenville, died Friday, March 1, 2013 at 9:45AM at his home. Mr. Cobb was born July 9, 1945 in Muhlenberg County. He was a truck driver and member of Luzerne General Baptist Church. Survivors include his wife, Faye Cobb; son James Clint (Lori) Cobb of Greenville; daughters Anita (Donald) Dunn of Bremen, Debbie (Jeff) Williams of Greenville, and Lisa (Craig) Durall of Graham; grandchildren Dustin (Tiffany) Dunn, Jaleesa (Josh) Casebier, Brooklyn (Leander) Brooks, Holden Williams, Kali Durall, Hayden Durall, Ava Claire Cobb, and Jennifer Durall; great-grandchildren Auora Dunn and Carter Brooks; mother Eula Bell Cobb of Greenville; brothers Delbert Cobb, Darrell Cobb, and Jeff Cobb, all of Greenville; and sisters, Becky Scherecker of Owensboro and Rita Price of Greenville. Funeral services will be Sunday, March 3, 2013 at 2:00PM at Tucker Funeral Home in Central City, with Rev. Kerry Vincent officiating. Burial in Luzerne Cemetery. Visitation will be Saturday after 5:00PM at the funeral home. Online condolences may be made at www.tuckerfuneralhomes.com. James Cobb walked into our house for Bridget and Chad's Wedding Rehearsal Dinner and right into our hearts. Kindness and smiles flowed from him. What an honor to have met such a fine man. We send our most sincere sympathy to James's family and pray that their hearts will soon be filled with peace. We know the memories will be nothing except precious. Our thoughts and prayers are with you during your time of loss. Mr. James was a special person, he will be dearly missed. So sorry for your loss. Thinkging an praying for you an your family in this time of sorrow.